A California Department of Fish and Wildlife (CDFW) officer based in Lake County recently risked his own life to save three lives in the Valley Fire. On Saturday, Sept. 12, Warden Timothy Little was working mutual aid law enforcement safety patrols in the town of Cobb, just south of Clear Lake, in support of the Valley Fire. Little, other wildlife officers and numerous first responders were scrambling to evacuate residents trapped or needing assistance from their homes. As the fire began to consume the small town of Cobb (pop. 1,780) an emergency call went out that an elderly woman was trapped in her home on Pine Summit Road and needed immediate rescue. Hearing radio calls that other units were unable to respond because of fire and debris in the roadway, Little headed toward the home. Driving his four-wheel drive patrol vehicle through raging fire and burning road hazards, he found and entered the home, where he located an elderly woman trapped in the house with her 11-month old granddaughter. Little safely got both the woman and child out of their home, into his patrol truck and on the road to safety just minutes before fire destroyed the home. Both are now safe with family. Shortly after this rescue, Little again put his own safety at risk to assist another elderly woman, this time needing transport due to serious medical needs. When Little learned that no medical transport crews would be able to make it to the woman in time, he raced to Anderson Springs, five miles away, on Hot Springs Road in Middletown, to aid the woman. After locating the house, he found the woman trapped on the second floor, unable to walk. Little carried her down a flight of stairs to a civilian vehicle and escorted them out of immediate danger before continuing to assist in other searches. CDFW has more than 20 wildlife officers working around the clock to provide mutual aid support to allied law enforcement agencies, fire crews and paramedics fighting both the Butte Fire in Amador and Calaveras counties and the Valley Fire in Lake County. The California Department of Fish and Wildlife (CDFW) is recruiting those interested in a career as a wildlife officer. CDFW will accept applications for wildlife officer cadet through the final filing deadline of Oct. 16, 2015. CDFW is particularly interested in recruiting applicants with a passion for conservation of California’s fish and wildlife resources. For information on minimum qualifications and other requirements for wildlife officer cadets, please visit www.dfg.ca.gov/enforcement/career/. The CDFW Law Enforcement Division expects an overwhelming number of inquiries and asks prospective candidates to extensively review materials on the website before contacting CDFW with questions. California wildlife officers are charged with ensuring public safety, enforcing fish and wildlife laws, investigating illegal sales of wildlife, protecting the state from pollution, enforcing habitat protection laws, fighting illegal drug trafficking, keeping the homeland secure and responding during natural disasters. As peace officers, they have the authority to enforce all California laws, such as the Vehicle Code and Penal Code, and are federally deputized to enforce federal fish and wildlife laws. 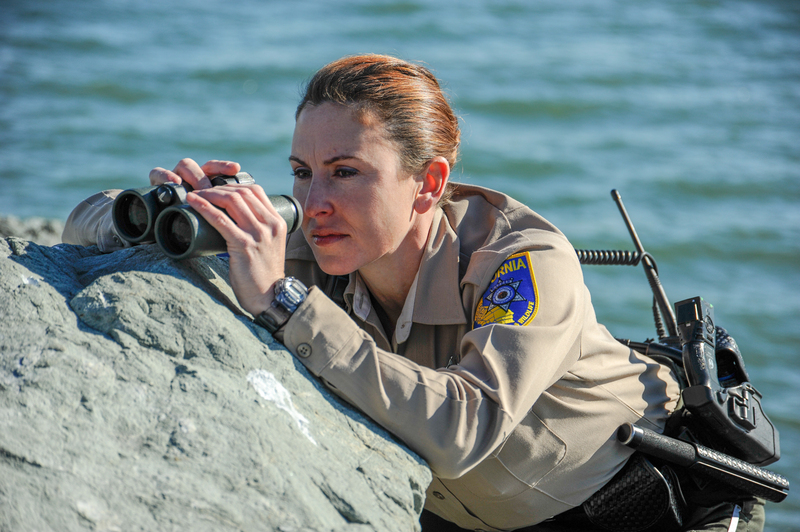 A typical day for a California wildlife officer is diverse as the state’s fish and wildlife. Wildlife officers patrol ocean, desert, mountain and valley environments, as well as urban areas. They frequently work independently and conduct full-scale law enforcement investigations. Wildlife officers employ everything from all-terrain vehicles to jet skis and snowmobiles while on patrol and spend much of their typical day making contact with Californians in the great outdoors. CDFW has a dive team and utilizes K-9 partners as well. Environmental crimes and pollution incidents also fall under the purview of wildlife officers. Annually, wildlife officers make contact with more than 295,000 people and issue more than 15,000 citations for violations of the law. Successful applicants will enter a 31-week academy training program, followed by 19 weeks of field training, where they will work with a seasoned field training officer. CDFW’s academy at Butte College is California Peace Officer Standards and Training certified. Cadets are trained as police officers with specific emphasis on wildlife, pollution and habitat protection. In California, with 159,000 square miles of habitat and wildlife diversity unequaled by any other state, the average wildlife officer has a patrol district of more than 600 square miles. The state has more than 1,100 miles of coastline, 30,000 miles of rivers and streams, 4,800 lakes and reservoirs, three desert habitat areas and scores of high mountain peaks. Applications must be postmarked no later than Oct. 16. Successfully completed (within the last 12 months) the CDFW Law Enforcement Academy, and possess a valid California POST basic academy certificate. Applications must be postmarked by June 26. “We are particularly interested in recruiting applicants with a passion for conservation of California’s fish and wildlife resources,” said CDFW Law Enforcement Division Chief David Bess. The CDFW Law Enforcement Division expects an overwhelming number of inquiries and asks prospective candidates to extensively review materials on the website before contacting CDFW with questions. To read more about law enforcement careers with CDFW, please go to www.dfg.ca.gov/enforcement/career/. To view the official job bulletin and detailed information on how to apply, please visit https://jobs.ca.gov/jobsgen/5fg07.pdf. Those who are not currently working as a peace officer but are interested in a career as a wildlife officer may apply to attend the full 31-week Wildlife Officer Academy as a Wildlife Officer Cadet. The application period for the Academy is expected to open in the September or October. A typical day for a California wildlife officer is as diverse as the state’s fish and wildlife. Wildlife officers patrol ocean, desert, mountain and valley environments, as well as urban areas. They frequently work independently and conduct full-scale law enforcement investigations. Wildlife officers employ everything from all-terrain vehicles to jet skis and snowmobiles while on patrol and spend much of their typical day making contact with Californians in the great outdoors. CDFW has a dive team and utilizes K-9 partners as well. Environmental crimes and pollution incidents also fall under the purview of wildlife officers. Annually, wildlife officers make contact with more than 295,000 people and issue more than 15,000 citations for violations of the law. The California Department of Fish and Wildlife (CDFW) has announced the selection of Warden Chris Stoots as its 2015 Wildlife Officer of the Year. Stoots’ dedication to his job and the tenacity with which he relentlessly pursues poachers are widely respected by officers with many more years of experience and by his supervisors within the Law Enforcement Division, as well as within the community where he works. A warden since 2008, Stoots has been based out of Colusa County. In recent years, he has developed a reputation for turning small and unlikely pieces of information into what most officers would consider to be a once-in-a-career case. In 2014, Stoots was the lead investigator in a large-scale, multi-suspect, multi-county commercial poaching case involving habitual offenders. The case culminated with the service of search warrants at seven locations and followup at an additional five. Stoots committed several months to the extensive investigation, including coordinating a three-day jury trial with eight officers’ testimonies. His persistence and collaboration with the District Attorney resulted in an unprecedented number of felony and misdemeanor convictions, including night hunting, spotlighting, trespassing, hunting in closed seasons, take without proper tags, exceeding bag limits, prohibited species, illegal snaring, shooting from vehicles, shooting near dwellings, commercial sales of sport taken wildlife, theft of diesel fuel, marijuana cultivation and felons in possession of firearms. Based on the gravity and magnitude of the violations, the suspects’ criminal histories, and the thorough investigation and testimony by Stoots, the suspects received prison and jail sentences of up to seven years, and forfeiture of their ATV and trailer, 25 firearms and all other hunting equipment, and several hundred pounds of wild game meat. Stoots uses a variety of surveillance tools, including night vision, to combat stealthy poachers. He regularly uses the CDFW wildlife forensics laboratory to process even the smallest evidence samples and connect them to crimes committed against wildlife. In addition to his remarkable investigative work, Stoots has brought great credit to CDFW over the course of his career by still making time to take on additional assignments. 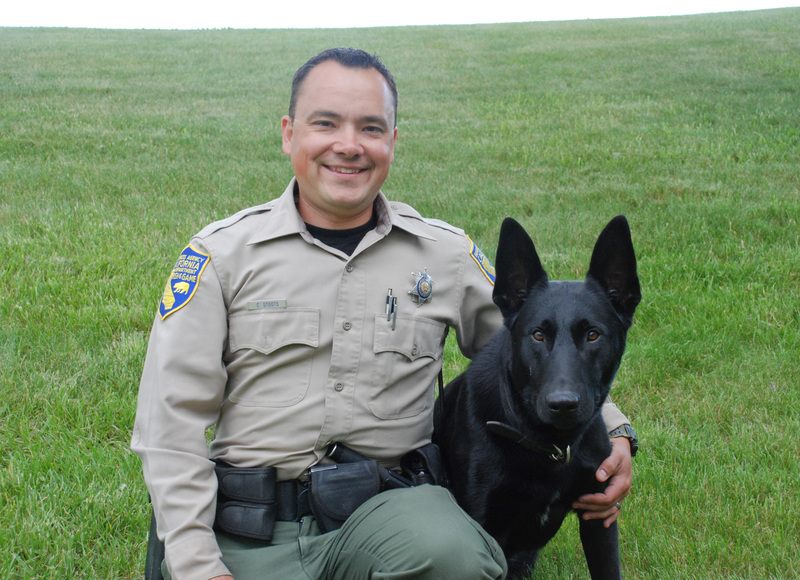 He spent three months as one of CDFW’s representatives for the California Department of Justice Campaign Against Marijuana Planting, and he serves as a firearms instructor, a field training officer, a canine handler and a member of the Critical Incident Stress Management team. He is often recognized in public, as he appeared as one of the primary officers in the National Geographic television series Wild Justice. Since 2004, recently promoted Assistant Chief Roy Griffith of the California Department of Fish and Wildlife (CDFW) has worked tirelessly to recruit and train new hunter education instructors from throughout California. During his 11 years as captain of California’s Hunter Education Program, the number of certified instructors rose from 300 to more than 1,000. 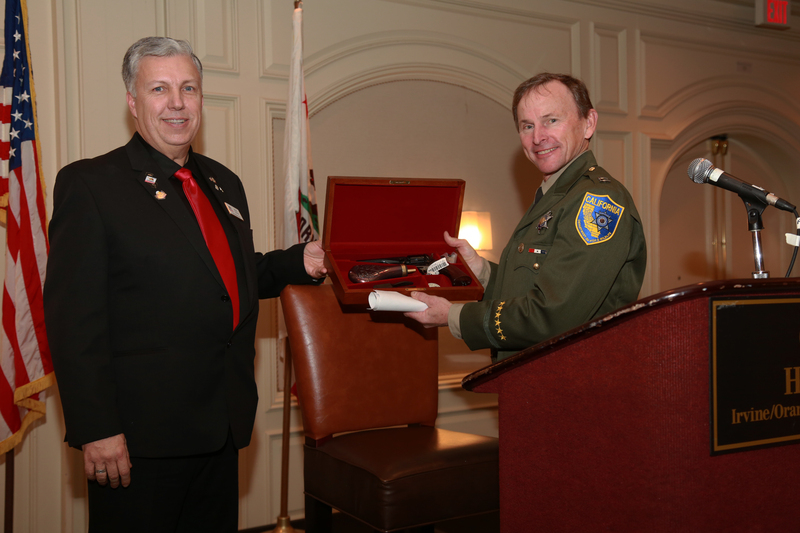 The California Rifle and Pistol Association (CRPA) recently recognized these efforts by naming him as their 2014 Wildlife Officer of the Year. Griffith began his wildlife officer career with CDFW in 1990, working in Southern California’s Chino District. He conducted extensive undercover operations as a member of the Special Operations Unit before changing his focus to the enforcement of laws related to habitat destruction. But he is best known for his role as captain of the Hunter Education Program, where his multi-generational approach and passion for “passing on the tradition” are evident to all who have worked with him. When Griffith took the position of captain, California was experiencing a dramatic decline in the number of hunter education instructors. Griffith stepped up recruitment efforts, putting a special emphasis on bilingual outreach in order to reach prospective hunters who do not speak English as their first language. Now as Assistant Chief, Griffith continues to oversee the Hunter Education Program as part of his overall duties. The all-volunteer cadre of hunter education instructors forms the framework for CDFW’s efforts to promote safe and ethical hunting to the next generation. The program includes annual re-certification of all 1,000 hunter education instructors. During the recertification, they learn the most current hunting and firearm safety training standards aligned with the state’s wildlife conservation needs and principles. Hunter education instructors often volunteer for CDFW in many non-hunter education related venues, such as outdoor sporting shows, community events and anywhere else CDFW staff needs a hand. Part of CRPA’s mission is to ensure proper management and respect for our state’s wildlife resources and to encourage public education concerning these resources. CRPA has regularly supported wildlife conservation, wildlife officers and hunting and firearms safety training statewide.